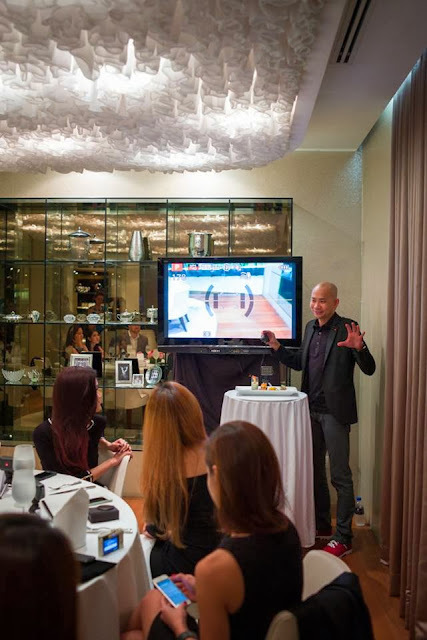 Was over at the Leica store at Starhill Gallery for a very special occasion as I was among the first few to review the new Leica model called the Leica C! In the world of photography, Leica cameras are associated with quality, precision, and luxury. 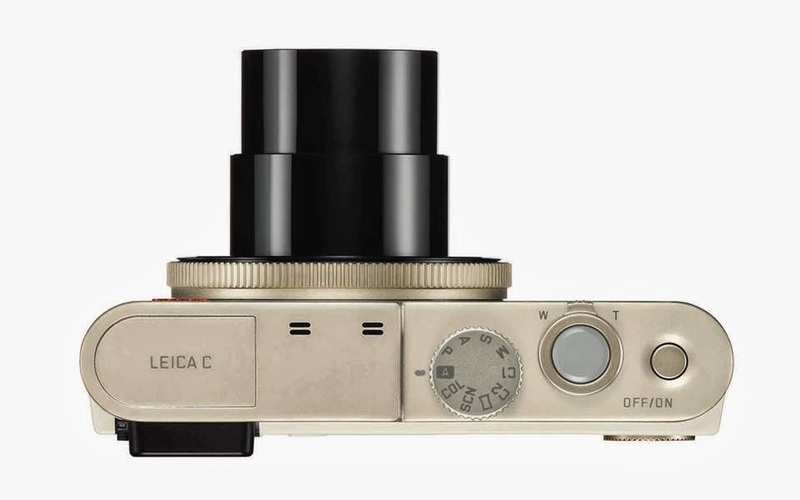 Every camera and lens Leica makes is dedicated to capturing the best shot. It was a very intimate event with a few bloggers, celebrity Elaine Daly and the Leica crew. We were served some light refreshments and had a little introduction about Leica the brand and also the new model. 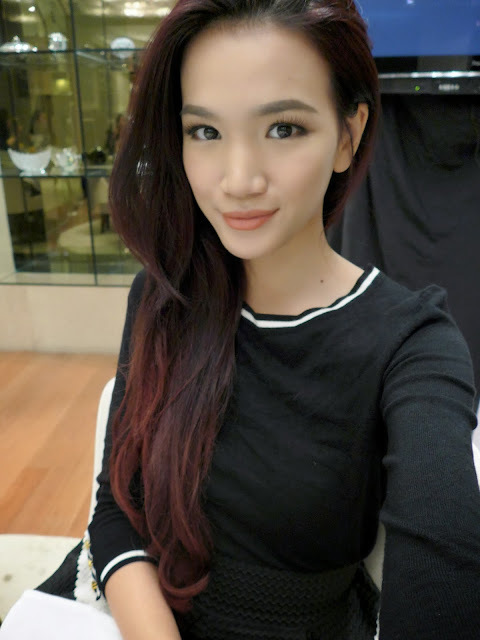 After the introduction I then got to hair and make-up, getting all prepped up for a mini photo shoot session! I was pretty stoked as Elaine Daly would be giving some nifty tips and tricks about posing and modeling infront of the camera. 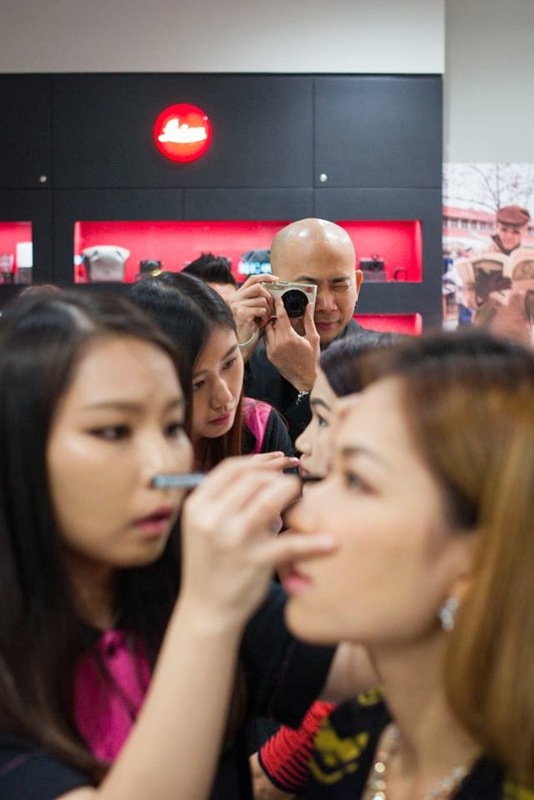 Karen and I getting our makeup done ; you can see Andy in the background taking snapshots of us with the new Leica C, look at the size of it! 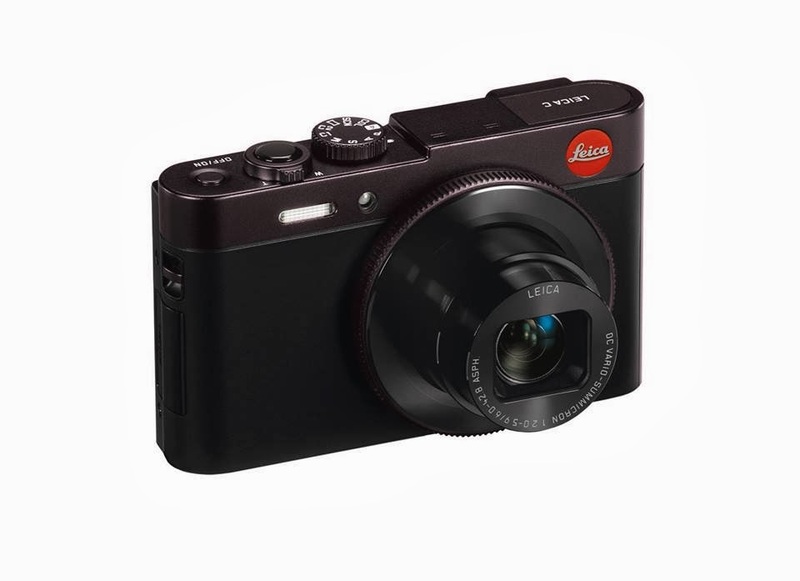 It's so compact for a camera filled with loads of functions, and it is one of the smallest of all the Leica cameras. 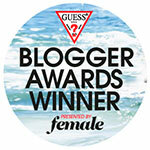 Perfect for girls as we can easily bring it along anywhere. After hair and make up, dressed in the latest Missoni collection. Loving the prints and material! Then it was my turn for the photoshoot. Andy shooting with the super expensive Leica S (he told me that the price of the camera can buy a Honda City) and Elaine Daly (below) giving out pointers on how to pose. It was pretty cool to have someone with such calibre and background guiding me and giving me really useful tips on posing. So much knowledge gained that day! She's so friendly and funny too. You guys ready to see how the picture turned out? It was a fun shoot and we all got to take home our own self potrait. My skin tone is so fair! Omg, I need a tan pronto haha. Group shot with the girls. All of us decked out in Missoni dresses! 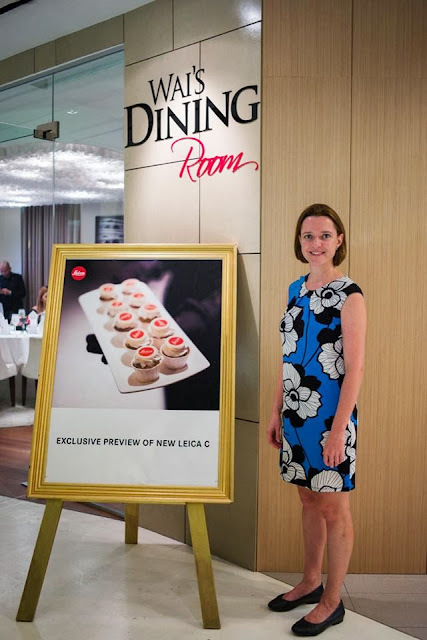 After the photoshoot session, all of us adjourned to the restaurant where we will be testing out the new Leica C. I was excited to see what this baby could do! Here we are at Wai's Dining Room. Andy was giving a talk and tutorial on how the Leica C functions, plus all the cool features that the camera holds, how to use it properly, available filters and so on. Look at that smile on Andy's face. He's totally in love with the camera! That coming from him, you know it's a great gadget! Karen and I toying around with the camera. Trying all the different modes and setting even though the pictures are already perfect on the auto mode. Nevertheless we tried the macro mode just to see how it fares. Look at how everything is blurred out except the main item I am focusing on. Super super love it! It would look so good if I were to take pictures of my outfits and so on. Other than that, I tried a few self-potrait shots. Caught in the act haha. Notice how I am holding my phone? The Leica C has a build-in wifi and you can snap pictures by clicking on your phone, even being able to view it through your phone and directly transferring pictures to your mobile device with the Leica app downloaded into your phone! Loving the self-potrait, my skin tone turned out nice. It's not orangey and loving my complexion! Back to the how you can actually snap pictures without using a self-timer ; I find this feature perfect for group shots, or even self shots! Just place your camera on a tripod and by using your phone to view how it looks and click away. This picture was taken by clicking on my phone while I placed the Leica C on a table top! I know girls would love this feature, so convenient and easy. Such a user friendly camera. The Leica C is the first model of a new line of Leica digital compact cameras and features a high-performance Leica DC Vario-Summicron 6–42.8 mm f/2–5.9 ASPH. zoom lens with a range equivalent to 28 to 200 mm in 35 mm format, and an exceptionally large 1/1.7″ MOS sensor with a resolution of 12 megapixels. Equipped with fast autofocus and a continuous-shooting mode with up to ten frames per second, it captures even the tiniest details and is ideal for all types of photography from portraits to wide-coverage shots and capturing the beauty of landscapes. 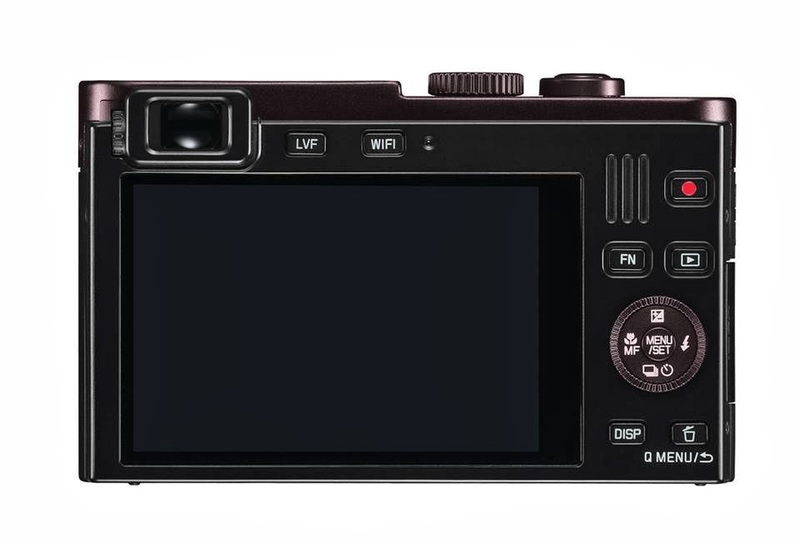 What this means is that the Leica C virtually guarantees outstanding imaging performance and crystal-clear photos with brilliant, natural colours, clarity and contrast even in unfavourable lighting conditions. The Leica C is the first Leica compact camera to feature an integrated Wi-Fi and NFC (Near Field Communication) module for the wireless transmission of image data to smartphones and tablet PCs via the Leica C Image Shuttle app available for free on either iOS or Android platforms. The WLAN and the app even enables users to remote control the Leica C from a smartphone or tablet PC – very handy for remote-release photography and shooting with the self-timer or simply to amaze your friends! 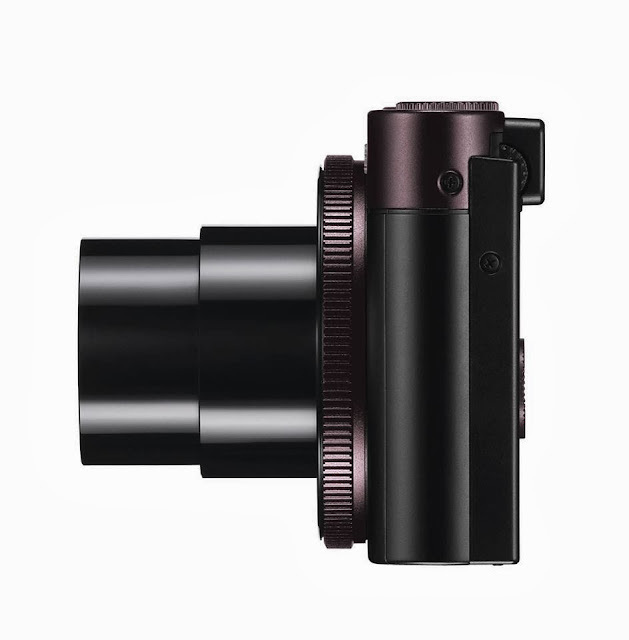 The camera’s full-HD video function allows you to capture high quality video while the 3″ camera monitor offers a large enough view to see what you’re shooting. Videos and still pictures can both be creatively processed either in the camera or with the Adobe® Photoshop® Lightroom® professional imaging software that comes bundled with the camera. Audi Design are responsible for the compact yet elegant looks of this camera, and they were also responsible for the development of the unique range of camera accessories. 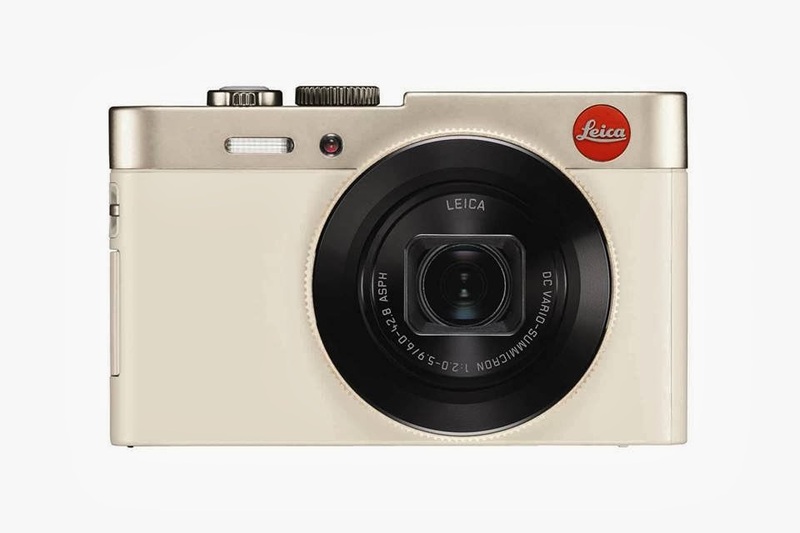 The Leica C is available in two finishes, light gold and dark red. The freely programmable ring on the lens is very useful and convenient indeed! The mode dial on the top provides fast and easy switching between modes! The camera’s integrated viewfinder (in the upper left hand side) is a useful aid for composition and assessment of scenes especially in brightly lit situations. 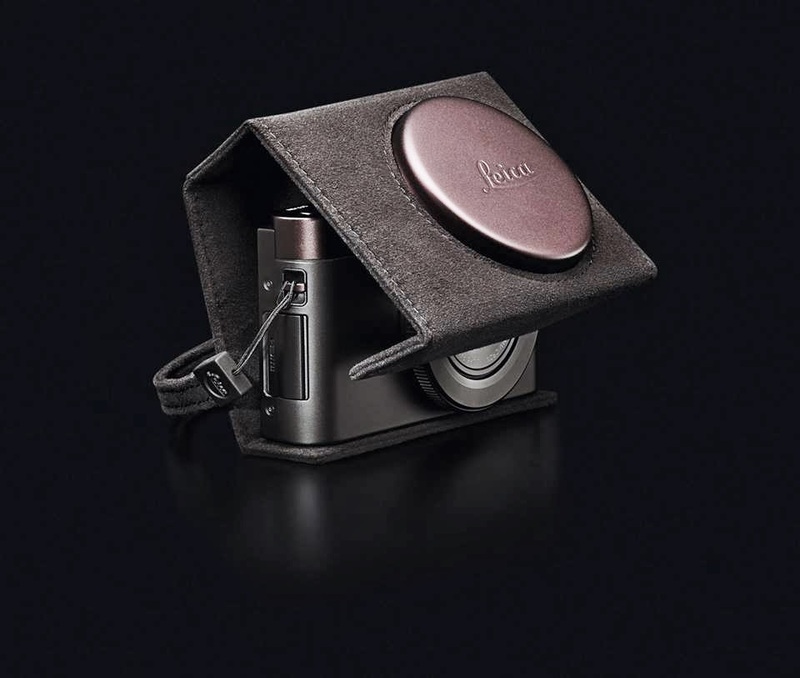 To complement the Leica C’s is a range of five (5) specially designed, perfectly finished, premium matching accessories. 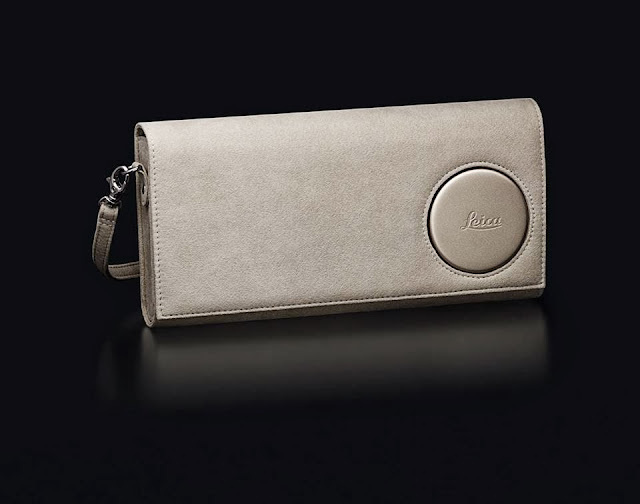 Each of these bags and cases is a unique and fashionable accessory – for example, the Leica C-Clutch (pictured here) is an elegant clutch handbag with carrying strap, available in light gold or dark red Alcantara with a sandblasted metal closer, and offers two separate compartments with ample space for the camera and other personal belongings. With model nos. 18 484/-488: The USB cable cannot be used to transfer data to the camera from a computer or other devices. 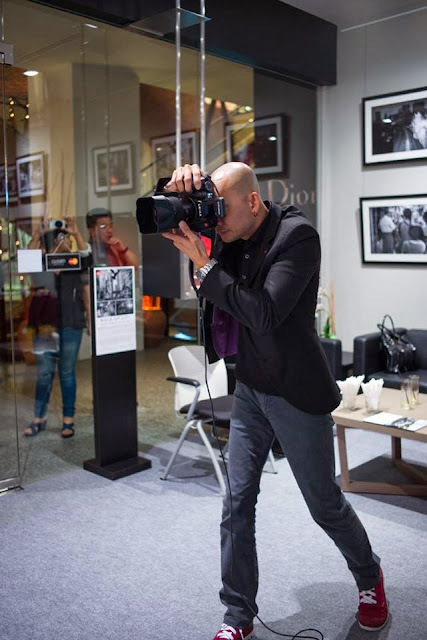 The Leica C is available at a RRP of RM2,475.00 at authorised Leica dealers starting in October 2013. The Leica C-Pouch and C-Snap accessories will be available from December. Where was this above mentioned restaurant?